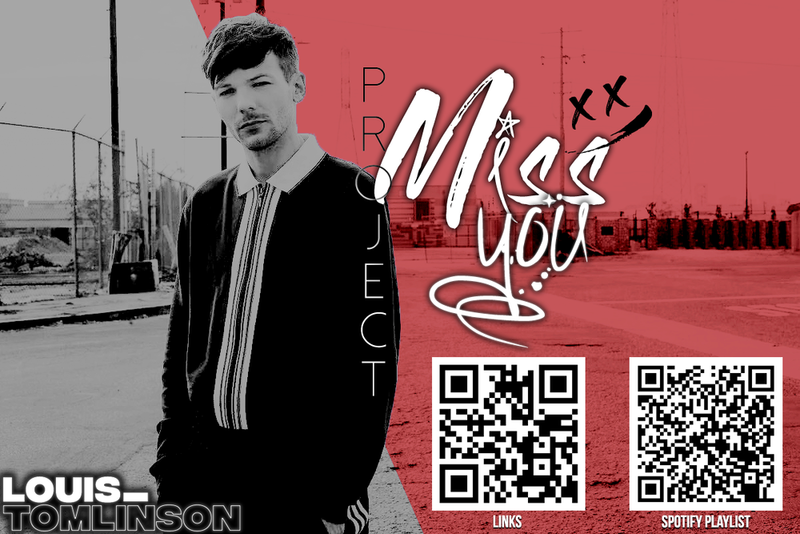 This is a fan-generated project for Louis Tomlinson's newest song titled Miss You with a focus on streaming, requesting, tweeting, and other methods of supporting the track. Miss You Remix on Spotify. Miss You + Miss You Remix 10 hour playlist on Spotify. Miss You on Apple Music. Miss You Remix on Apple Music. Miss You Remix on Deezer. Miss You Remix on Tidal. Spotify → If you live in the UK, stream as normal. If you do not live in the UK, download ZenMate and follow the procedures to install this simple and free system. You will be able to change your IP address to the UK and your streams will count towards the UK charts. Use our playlist to stream Miss You. You are able to skip the song after 33 seconds and it will count as a stream. For the UK, 150 streams (100 in the US) is equal to one sale of Miss You! Miss You Remix on iTunes. Miss You on Google Play. Miss You Remix on Google Play. Miss You (Explicit) on Amazon (US). Miss You (Clean) on Amazon (US). Miss You Remix on Amazon (US). Miss You (Explicit) on Amazon (UK). Miss You (Clean) on Amazon (UK). #MissYou Music Video Streaming Playlist. Don't forget to watch the #MissYouBTS video below! Shazam the Miss You Remix. Shazam → Download the Shazam app, play Miss You on another device and allow the app to recognize Miss You. The more Shazam's, the better! Radio hosts often turn to which songs are trending on Shazam to decide what to play on their shows. Share the song with family, friends, and post it to your social media. Add a Twibbon to your Twitter icon. Twibbon → Link your Twitter account to Twibbon through the link provided above. This will add a Miss You decoration on your Twitter icon. Tweet with the hashtag #MissYou. Billboard → Click the generated tweet link above, then click tweet when the site prompts you to. Billboard considers this positive interaction with the song and will count towards charts. Make sure you are always tweeting #MissYou as a hashtag, mentioning @Louis_Tomlinson as well as including words such as 'play', 'listen', '#nowplaying'. Hashtag → Whenever you refer to Miss You on Twitter/Instagram/SnapChat, make sure you include a hashtag: #MissYou. This will help the song on Twitter's Trending Topics and will fill Instagram's #Miss You hashtag with relevant, Louis-centric posts! Note: Performances are posted on YouTube under license. This means that may only be available for short periods of time. For example, the Miss You X Factor performance was only available on YouTube for around 1 month. Print the flyer above. (Print in black and white if necessary) Once the flyer is printed, head to the most popular locations in your town/city and paste/staple/tape the flyer to bulletin boards, poles, advertisement walls, etc.! Place the flyer under windshield wipers, hand them out, and try doing this with friends to make the experience all the more fun. Don't forget to tweet us (and Louis!) photos and videos of your promotional outings. Make sure you are doing this within legal limits and have fun! This is for anyone who would like to gift or receive Miss You via iTunes. Everyone who fills out the forms must: make sure your email is spelt correctly, check their emails regularly, and retrieve their copy of the song ASAP. Here is a FAQ page. Request #MissYou on numerous US radio stations all at once. Only works with a US IP or US VPN. Below is a list of popular radio stations around the world. By clicking each station, you will be brought to a pre-generated tweet that will request Miss You. You are encouraged to add emojis, words, photos/videos/gifs, and any creativity to the tweet so they are not too repetitive. Be original, have fun! Radio play is a crucial aspect of the promotion of Miss You, as locals will hear the song and Shazam it, purchase it, interact with it. Radio play also contributes to chart positions in the US. Let's get requesting!